NYX Gaming has announced that they have closed a content deal with Pragmatic Play. This deal will add Pragmatic Play’s library of casino games onto NYX’s OGS software platform. This will expand Pragmatic Play’s market by 150 online operators. Chief BDO for Pragmatic Play, Yossi Barzley said in a press statement that the company will keep delivering quality gaming products to the world market. They also stated that this partnership is a massive endorsement for the potential of the company. This is a much-needed endorsement for Pragmatic Play as their gaming software has received a lot of criticism. There have been many accusations of buggy games and other complaints but NYX have not appeared phased by some bad reports. The company said that they always want to supply their partners with the best and Pragmatic Play is a company they have immense faith in. 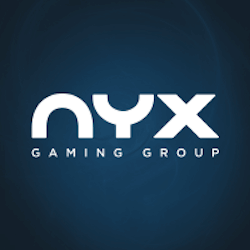 Dylan Slanley the Executive Vice President of Gaming for NYX said that this content deal will help keep NYX in their current market position as one of the leading content providers for casino operators. It also secures the position of their NYX OGS software aggregation platform, which is a key driver for the company’s continued success. In the UK Sky Betting has revealed their backing for a controversial deal between NYX and Scientific Games. The deal will see Scientific Games purchase NYX, creating an online casino gaming powerhouse. Naturally many companies have raised their concerns with such a deal as it could potentially create significant market dominance. That said many of the bigger industry members have stated their support for the deal after William Hill gave their approval. William Hill was one of the first opponents to the deal but Sky now joins them in its backing for the acquisition. It cannot be ignored however that Sky just so happens to have 1.6 million shares in NYX. Richard Flint, the SkyBet CEO states that the acquisition deal will benefit them, as it would raise the value of both companies. They also said they are looking forward to working with both companies as the world online gaming market keeps growing. SkyBet could help Scientific Games and NYX improve their sport betting offerings as SkyBet has a huge market share in these types of services. The deal is currently in its final phases. Shareholders will be holding a vote soon on the acquisition but it should be approved by a wide margin.